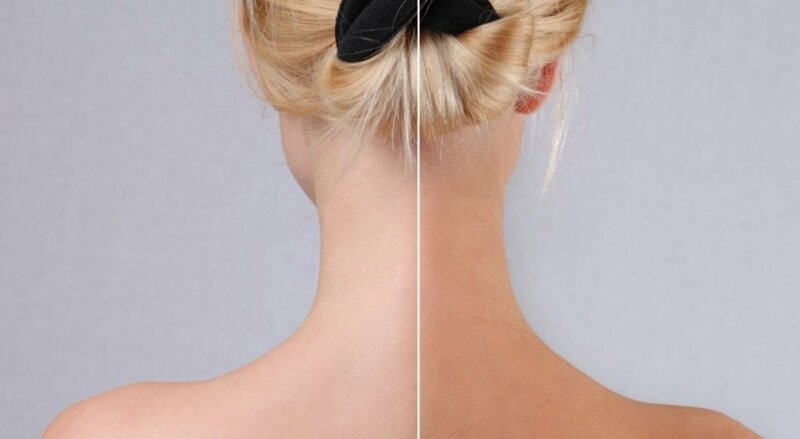 A number of people in this world have the ability to tan in a fast period of time, whereas some of us do not have the ability to attain that bronze glow after a day out in the sun. Some of us turn red, some of us turn golden and for some nothing happens at all! The Paint It Black tanning lotion has challenged many to have faith in the old tanning bed again and to rely less on those few days the sun gets to kiss our pale skin. The Paint It Black tanning lotion was made for every skin type and includes many minerals that will still help maintain healthy glowing skin. Multiple customers who have ordered this tanning lotion have given their feedback on the tanning lotion and what it claims to do. The claim being that the tanning lotion will accelerate the time in which the skin will tan, it will leave your skin moisturised and hydrated and the colour will be a beautiful bronze. Many customers have said that it was ‘excellent’, ‘it gives an amazing dark tan’ and ‘the results are fast’. The Paint It Black tanning lotion claims to be all of these things and more and that’s what customers are receiving. What is Paint it Black tanning lotion? 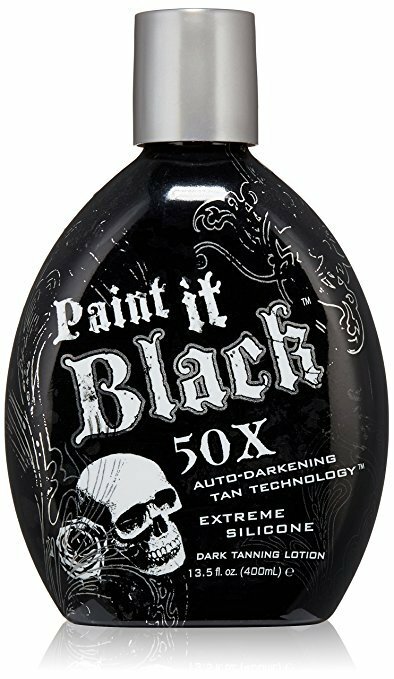 This Paint It Black tanning lotion has a 50X Auto Darkening Tan Technology which helps with the delivery of extreme dark bronze tanning results. This technology means that you don’t have to spend hours baking in the sun to make your skin look bronze and possibly damaging the hydration of your skin. This technology ensures dark bronze tanning results fast and without damaging the skin. The difference between the Paint It Black tanning lotion and other tanning lotions is the use of Silicone Emulsion. This Silicone Emulsion Blend leaves your skin silky, soft and smooth. After using the skin does not feel drained but hydrated instead and many people have a problem with their skin after the use of tanning lotions as they feel their skin is less hydrated however, this lotion ensures ultra moisturised skin that lasts all day while still maintaining a dark tan. The Paint It Black tanning lotion gives the skin a dark bronze tan to all skin types. Whether you are pale skinned, already tan or dark. All skin types will be affected beautifully. This overall finished glow and feel has been accelerated by the inclusion of the Silicone Emulsion and the 50X Auto Darkening Tan technology which attributes specifically to the final colour and the moisturised feeling your skin gets after using the Paint It Black tanning lotion. Diminishing the time it would normally take to tan the skin under the sun. It remarkably reduces tanning time and leaves the skin feeling rejuvenated and smelling nice. Tanning lotions can normally be very messy but the Paint It Black has a promise of non-greasy and non-mess lotion. Based on customer reviews and feedback it is highly favoured a tanning lotion that is worth the buy and time.